The Double Sided Acrylic Foam tape offered by Omni is a brilliant solution for those who do not want to use rivets, screws welds or any other mechanical fasteners. The tape is an effective alternate which is used to fasten items on walls. The tape comes with a high quality adhesive which easily sticks on surfaces permanently and also spreads the load across the entire length. Once the two surfaces are joined, an indestructible weld is created. The foam helps to absorb shock and impact, which is very helpful. The tape is flexible and can be used to bond irregular surfaces as well. 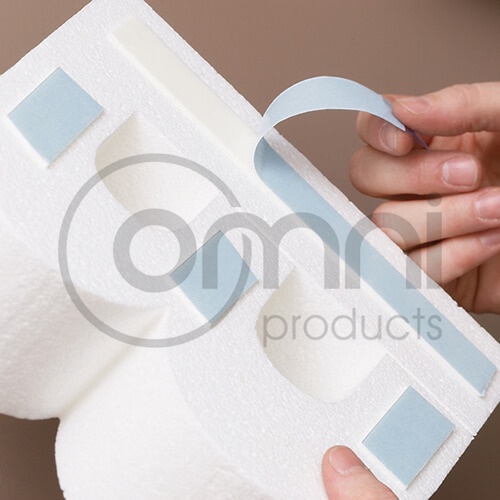 Omni Group stocks high quality foam tape and has a large range for many applications.